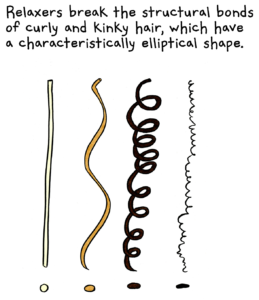 Whit Taylor recently gave us a great piece on The Nib entitled, Finding Your Roots – about her hair. A little history of African-American women’s hair care, a little personal experience, a little hair science, and a whole lot of cultural insight. “Finding Your Roots” by Whit Taylor. Vermont cartoonist, Stephanie Zuppo shared this on Facebook – big tip of the old ink pot to her for that.